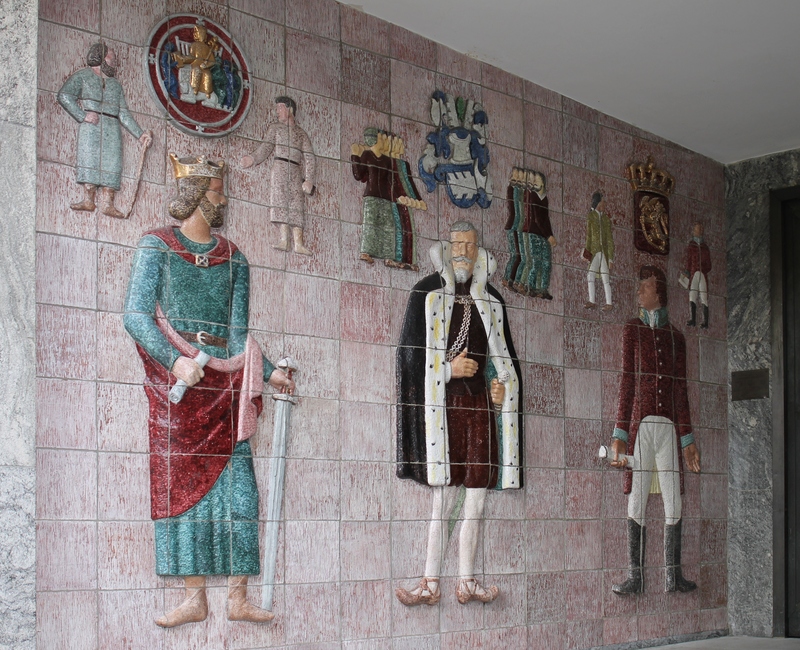 Portal courthouse (Trondheim tinghus map), near which we started exploring the city, decorated with bas-reliefs of the Norwegian judges from different eras. 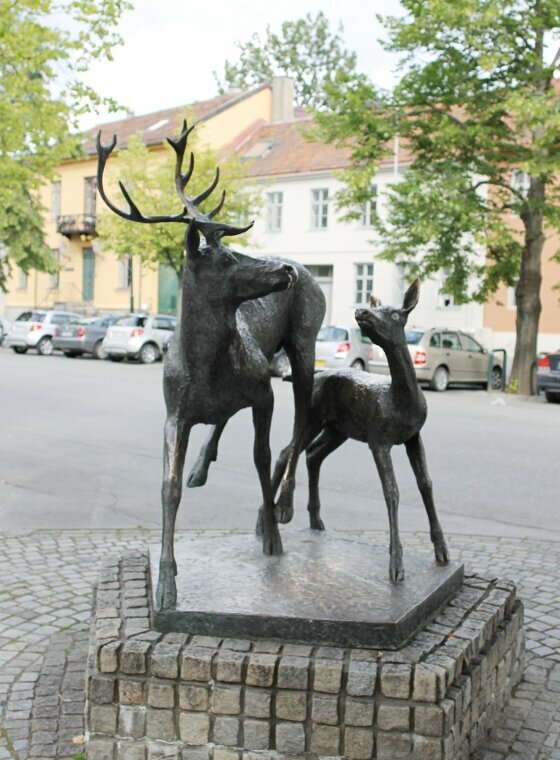 And next you can see reindeer sculptures without which no cost, not one Norwegian city. Well, we first headed to Royal residence Stiftsgården.